Are you working too hard to protect yourself energetically? Or maybe you’re not doing enough. No worries. 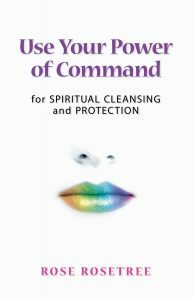 This book helps you to get that protection just right. Despite what you may have been told, all psychic-level energy is not good for you. Although this level of life is home to beautiful guardian angels and guides, it’s also the source of hidden problems. And those problems could be limiting your life right now. Not that you’ll necessarily notice these energy-based problems… by noticing energetically that something’s not quite right. Instead, very human troubles can grab your attention. Not sure what really want, and feeling weird about that! The cause of your distress is not at all what you expected. Imagine learning those skills. And they weren’t even that hard to learn! Imagine if you had the skills to discern and clean up different kinds of energetic problems. In a matter of minutes, you might be able to heal a bunch of human problems as well. And then refresh one of the healings every two months. Refresh another one every six months. None of this “Fix yourself, off-and-on, all day long”! All you need is skills! Especially the highly effective skills now trademarked as Spiritually Sparkling®. Loads of skills that you will learn from this book. Many skills of RES Energy HEALING are contained in this book. Other Really Effective Skills are taught in Rose’s other books in this series, and her other resources to train you for either self-healing or a professional career as an RES Practitioner. For a beginner, though, no question! These Spiritually Sparkling® skills are the best ones to learn first. And not just because they’re so easy to learn. Each of these skills can make a huge difference. Plus, along the way, you can sample Rose’s respectful manner of teaching. Systematic, clear explanations. As part of an approach that empowers you. The book review below gives you just one example. Without fuss, you get a straightforward way to solve some energetic problems that are ridiculously common. And you don’t have to use clairvoyant abilities, or ask spirits for guidance. Instead, you co-create with Divine Help. Doing your part, then getting wonderful support. Validation. Because you’ll learn to assess results of your healings… with every single skill set in this book. Independence. Free yourself from Psychic Coercion. In ways that will add to your confidence and effective behavior as a human being. Likeability. Upgrade your inner image with current Facade Bodies. So you can stop sending folks subconscious mixed messages — common when people choose to grow a lot… yet they don’t know how to update this subconscious energy patterning. Humanity! All the skills that you learn from Rose can help you pay attention to yourself as an effective, lively, fast-growing human being.